The Greek island of Syros and especially its beautiful capital Ermoupolis, which is the capital of all the Cycladic islands, are promising to the visitors a very special experience. The visitor of Syros will not only find the well-known physical beauty and picturesqueness of all Cycladic islands, but something more. It's not an overstatement if we say that Syros is a work of art. 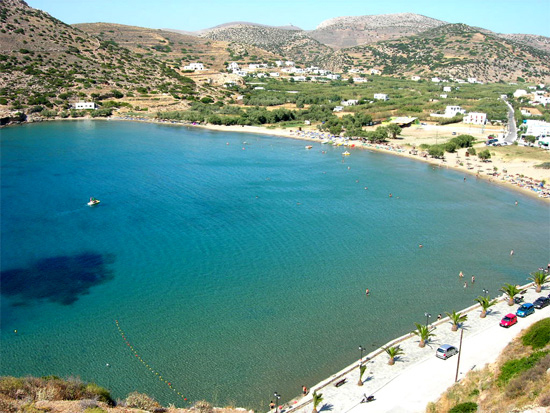 great beaches and hidden coves, surrounded by the crystal clear waters of Aegean Sea. Among the spots you shouldn't miss are Megas Gialos, Azolimnos, Galissas, Kini, Delfini, Poseidonia. 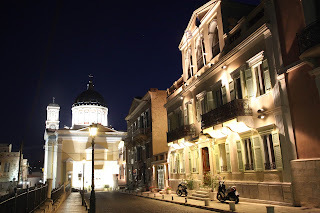 Nevertheless, the charm of Syros is mainly due to the capital. Ermoupolis is not a usual Cycladic capital, but mostly a journey to the past of a ''European'' city in the middle of Aegean. The development of navigation and industry made Ermoupolis a big financial center of 19th century. The wonderful neoclassical and Venetian buildings are some evidence of a city with a great cultural life. Another magical place is the village of Ano Syros, which is a beautiful amphitheatrically built medieval village. It owes its charm to the traditional Cycladic and also Venetian architecture and to the very narrow streets and the stairs that are found everywhere. This island is a perfect destination for every kind of visitor, but visiting it, won't be just a trip to a beautiful place. 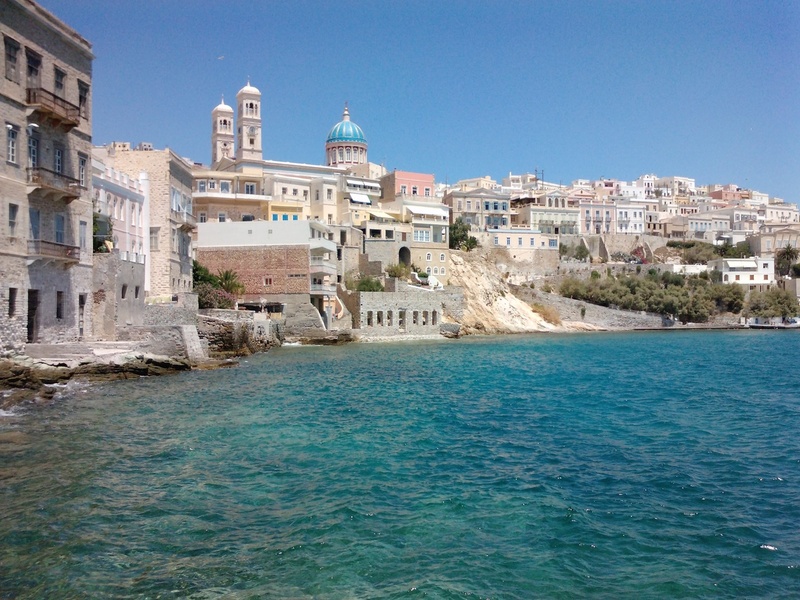 Syros is an alternative choice in the Aegean. 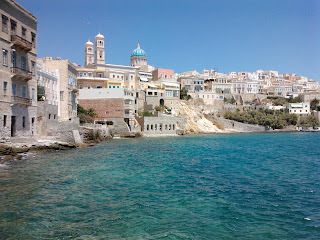 Syros is a journey to elegance.